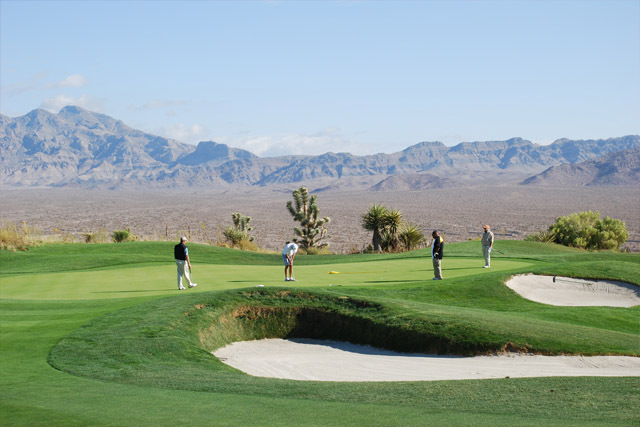 Located at the base of the Spring Mountains in the Southern Nevada desert is the Paiute Resort. 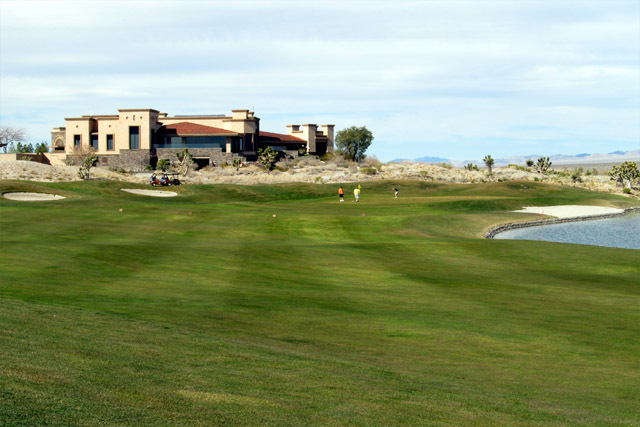 This fabulous golf course has one numerous awards including Best Upscale Golf Course, Best Club House and Pro-Shop, and Best Overall Experience. 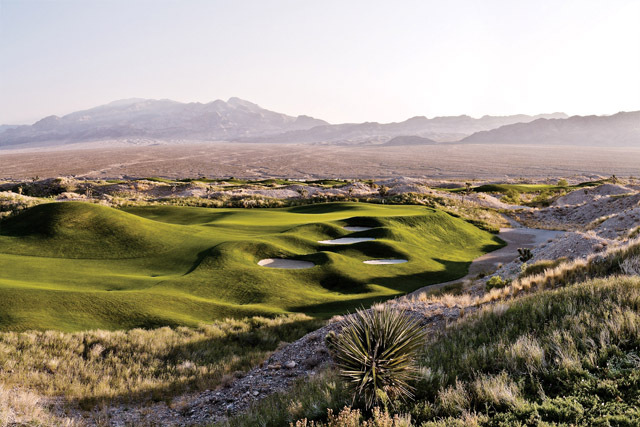 While the resort holds three amazing courses, all of them were designed by the amazing Pete Dye, who not only designed them all, but he conceived the entire project for all three courses. The courses include the Wolf, Sun Mountain, and Snow Mountain. 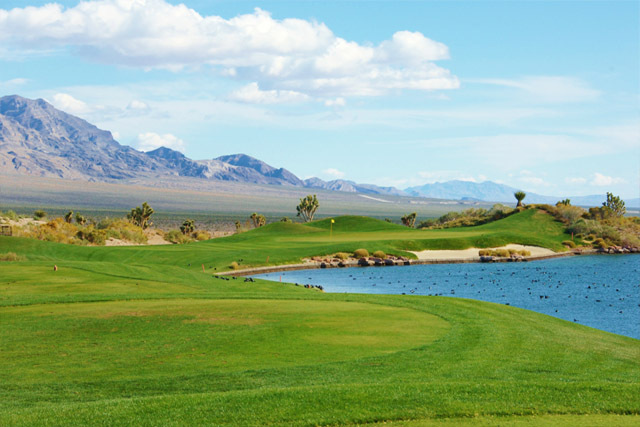 In addition to some fabulously challenging golf, the Paiute Resort includes space for events and weddings. 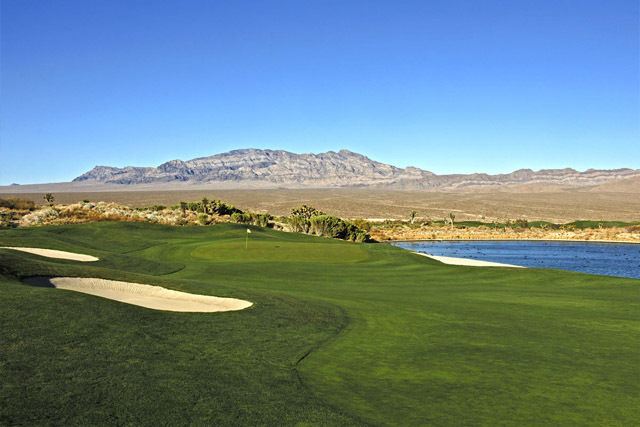 There is also the Paiute Resort Bar and Grill which offers a stunning view of the 18th hole of Snow Mountain. The restaurant seats 135 people and has dining options ranging from sandwiches and salads to the daily specials. Additionally you can enjoy a drink and a fine cigar in the cigar lounge after a game, when you are looking to relax. Driving range, chipping green, putting green, restaurant, lounge and baquet. The course condition were excellent and the clubhouse is very nice.We manage to play 3 courses that day. I enjoyed so far.